At Little Sprouts Chiropractic we are committed to protect and respect your privacy in compliance with EU- General Data Protection Regulation (GDPR). This privacy statement explains when and why we collect personal information, how we use it, the conditions under which we may disclose it to others and how we keep it secure. This Privacy Statement applies to the use of our products and to our sales, marketing and customer activities. It also applies to individuals seeking a job at Little Sprouts Chiropractic. 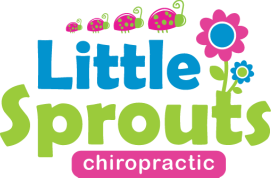 Little Sprouts Chiropractic focus is to maximise Health right from the Beginning (Big Sprouts are welcome too! ).﻿﻿ Using Applied Kinesiology (AK) Chiropractic and constantly learning to improve your Triad of Health (physical, chemical, mental/emotional) allows us to look at your health from three different angles. We are professionals with the knowledge and the passion to help you live YOUR life at YOUR best! We also use other various techniques such as Retained Neonatal Reflexes, Neuro Emotional Technique and others to help you reach your maximum potential. Our company’s headquarters is located in the Hunter Valley, NSW, Australia. name, contact details including email address, address and telephone number; and any other information requested on this Site or otherwise requested by us or provided by you. Your use of our Site: As with most online businesses, we may log information about your access and use of our Site, including through the use of Internet cookies, your communications with our Site, the type of browser you are using, the type of operating system you are using and the domain name of your Internet service provider. We may contact you to voluntarily respond to questionnaires, surveys or market research to seek your opinion and feedback. Providing this information is optional to you. Reply to a ‘Contact me’ or other web forms you have completed on our website (e.g. to download a guide). If you upload photos or videos, add posts or comments, etc. on our Community website or social media, the information can be read by anyone with access to the Community site and used for purposes over which Little Sprouts Chiropractic or you have no control. Therefore, Little Sprouts Chiropractic is not responsible for any information you submit to the Community website or social media. If you apply for a job at Little Sprouts Chiropractic, we collect the data you provide during the application process. We may use personal data if it is considered to be of legitimate interest, and if the privacy interests of the data subjects do not override this interest. Normally, to establish the legal basis for data collection, an assessment has been made during which a mutual interest between Little Sprouts Chiropractic and the individual person has been identified. This legal basis is primarily related to our information, sales and marketing purposes. We will always inform individuals about their privacy rights and the purpose for collecting personal data. How long do we keep your personal data?We store personal data for as long as we find it necessary to fulfill the purpose for which the personal data was collected, while also considering our need to answer your queries or resolve possible problems, to comply with legal requirements under applicable laws, to attend to any legal claims/complaints, and for safeguarding purposes. The right to request a copy of your personal data that Little Sprouts Chiropractic holds about you. You may request details of personal information that we hold about you, in certain circumstances set out in the Privacy Act 1988 (Cth). An administrative fee may be payable for the provision of information. We may refuse to provide you with information that we hold about you, in certain circumstances set out in the Privacy Act. The right to request that Little Sprouts Chiropractic corrects your personal data if inaccurate or out of date. The right to request that your personal data is deleted when it is no longer necessary for Little Sprouts Chiropractic to retain such data. If you want to withdraw your consent to e-marketing, please make use of the link to manage your subscriptions included in our communication. Please note that you may still receive system messages and administrative communications from Little Sprouts Chiropractic, such as appointment confirmations, system messages and notifications about your account activities. We work closely with various third-party product providers to bring you a range of products and services designed to meet your extended needs related to CRM.